This article describes my build of a Radio-Kits SWR meter (v1.1) and post implementation review. 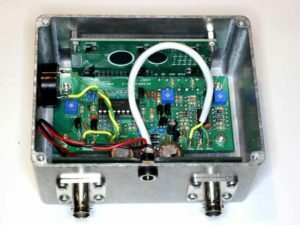 I purchased the kit some years ago, and on receiving it and reviewing the circuit I formed the view that it was likely to have unacceptable Insertion VSWR on 1.8Mhz, and probably 3.5MHz bands… so I lost interest in assembling the kit. However, I have belatedly constructed the kit, calibrated and tested it. 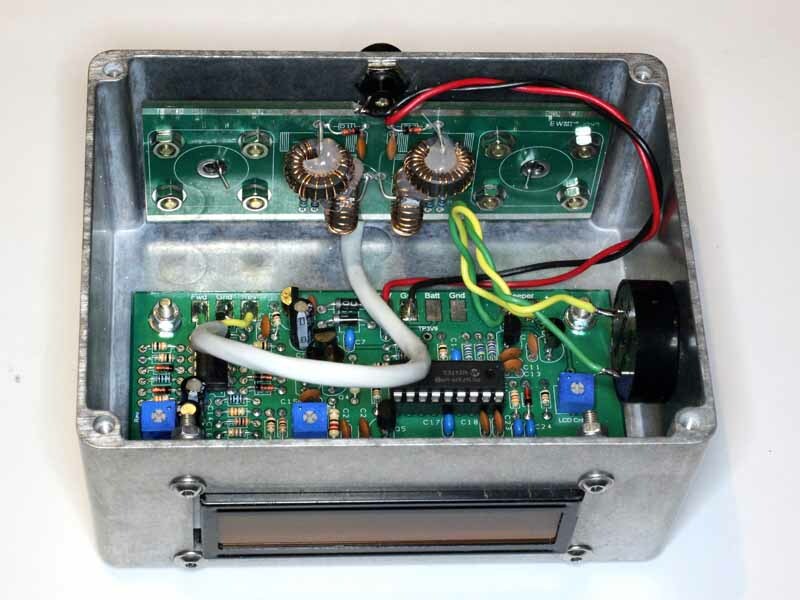 The kit is supplied as a PCB and parts, no casework is supplied. The board was difficult to solder, the strain relieved ground plane connections of components have very little donut to contact for heat transfer and are much harder to solder than the other pads. The strain relief is a dubious feature that makes soldering difficult. Above, the kit assembled in a die-cast aluminium box. An opening for the LCD was milled into the box, and holes drilled for the rest of the fit up. The kit does not lend itself to this boxing as the buttons out the top and display out the front are a problem to fit up. A poor mechanical design. 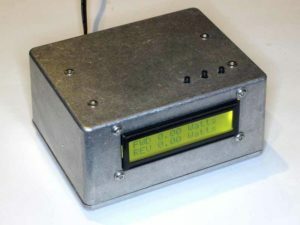 Above is the interior of the box showing the LCD display and the external BNC connectors fitted (substituted for the ubiquitous UHF connectors supplied with the kit). Above, the interior view towards the directional coupler board. 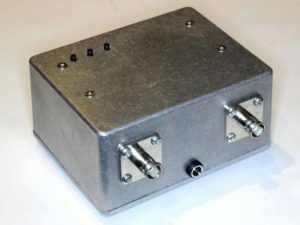 Above, the external rear view showing BNC coax connectors and DC jack. The directional coupler was a cause for concern. It uses a pair of couplers derived from Sontheimer’s work, or perhaps more familiar to hams as Grebenkember’s Tandem Match. These circuits connect a transformer (or in this case two transformers) in shunt with the through line, and if the magnetising impedance of the primaries is not sufficiently high, it will cause unacceptable Insertion VSWR. Above is the circuit of the coupler. The primaries of T1 and T2 are connected in shunt with the through line. The primary in each case is a 23t winding on a 12.7x7x4.8mm ferrite core of material somewhat similar to Fairrite’s #61. Above is a sweep of magnetising impedance of one transformer primary. 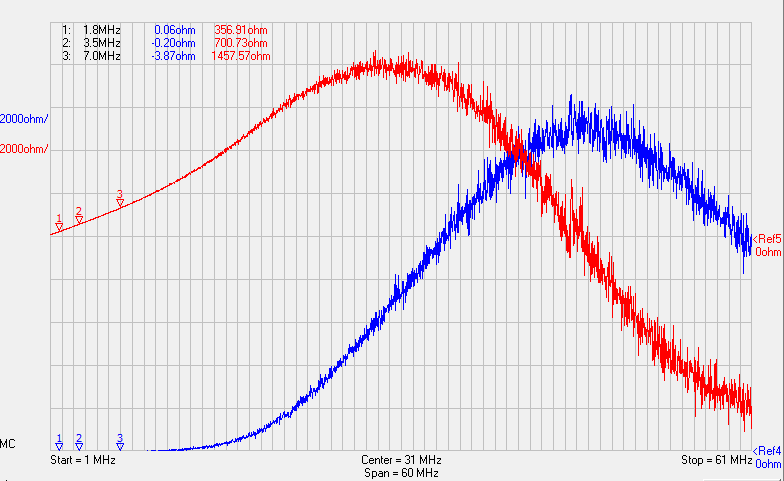 Z is too low on the lower bands and is certain to cause unacceptable Insertion VSWR. 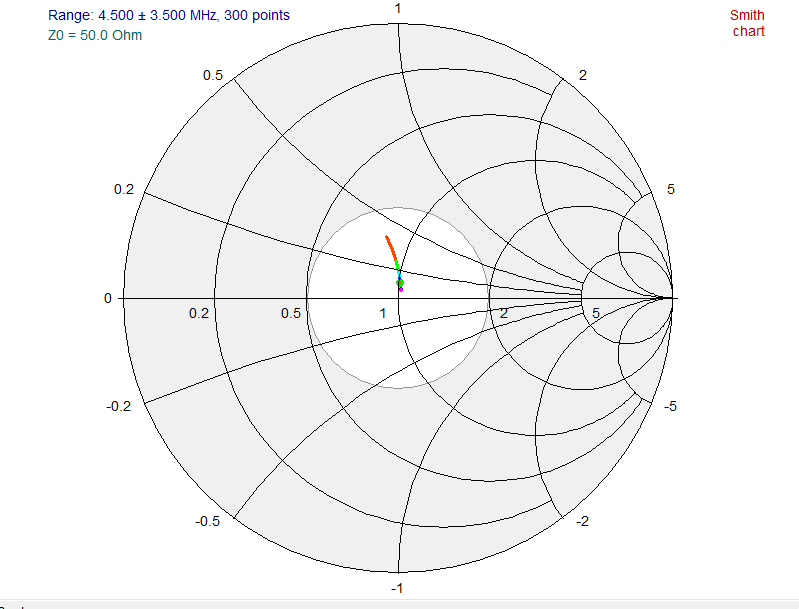 Above is a VSWR sweep of the constructed coupler with a 50+j0Ω load. Insertion VSWR is 1.3 @ 1.8MHz, and 1.15 @ 3.5MHz. 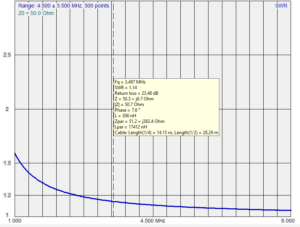 The latter is barely usable, the instrument is not acceptable for 1.8MHz in any way shape or form. 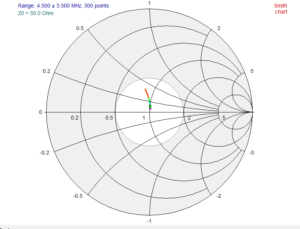 Above is a Smith chart plot of input Z, and the plot follows the constant G=1/50 line, with B increasing as frequency decreases revealing that the imperfection is indeed a shunt inductance. The unacceptable Insertion VSWR at the low end of the rated frequency range has been a feature of every one of these type of instruments I have ever measured. To its credit, it has electronics that attempts to linearise the output of the detector so that it gives more correct power and VSWR readings down to quite low power levels. The hold time on the power display (intended to be peak) at about 800ms is too short to be readable on SSB telephony, so I increased the hold time to 2s. I took the opportunity to fix some label mistakes (eg watts or W, not Watts). The attempt at compensating the non-linearity of the detectors is only partial. A 2.2k resistor was soldered across each of R7 and R17 to increase the current flowing though compensation diodes D5 and D6. The end result is that with a stable load of known VSWR=1.2, the meter reads 1.20 with Pfwd 100W down to 1W. 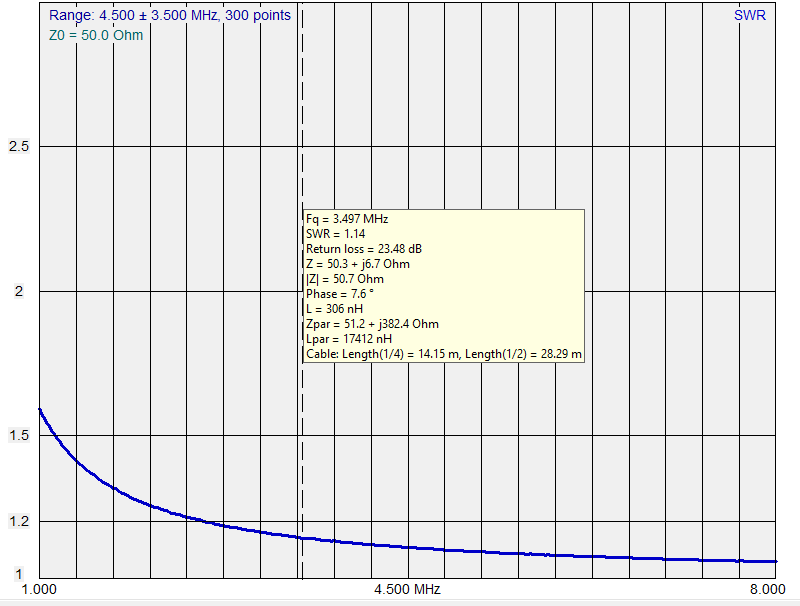 excessive insertion VSWR below 7MHz, barely acceptable at 7MHz. 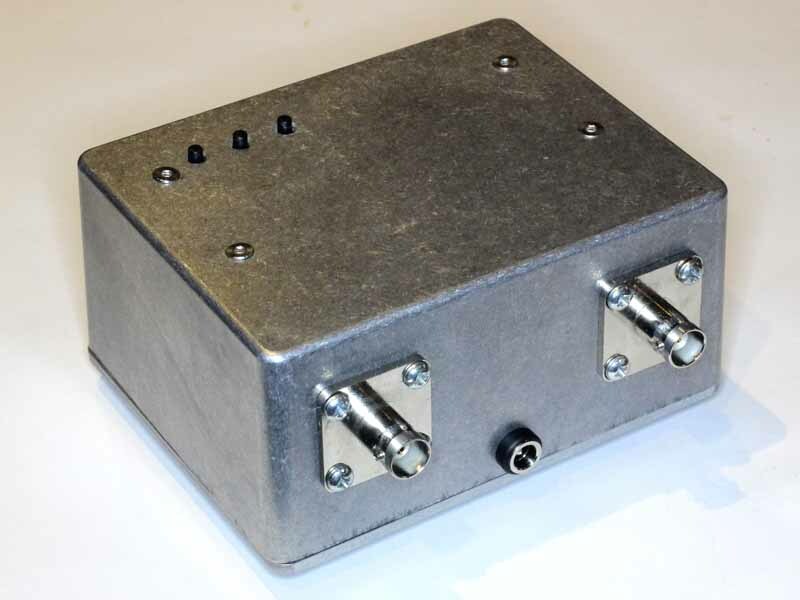 The Insertion VSWR could be improved by redesigning the transformers, and indeed using only two transformers for a bidirectional couple (as do most such instruments). The latter means a new coupler board. 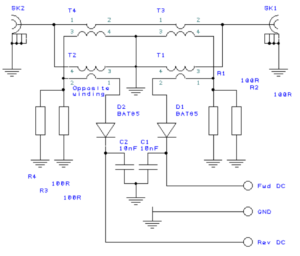 VSWR indicated accuracy is only mediocre, and with the coupler design it cannot be calibrated to 50Ω. 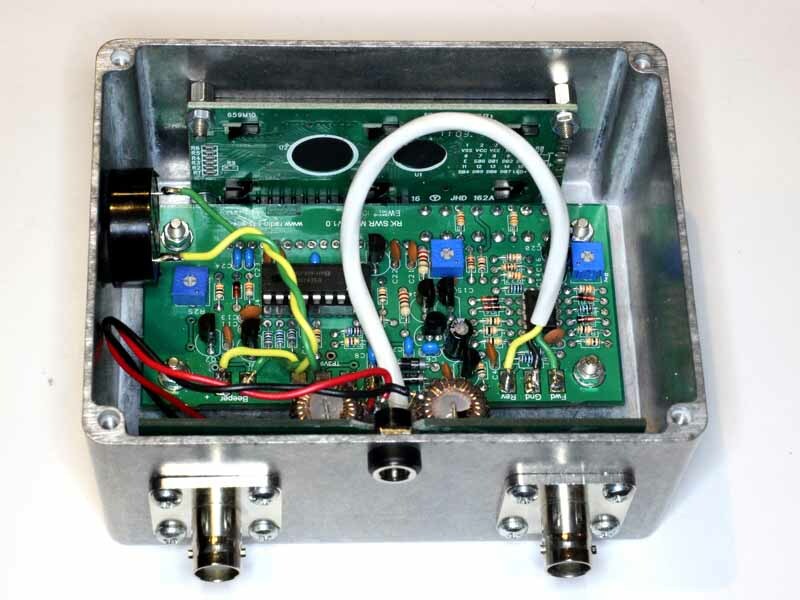 One can purchase a finished digital commercial instrument from China for about the same as the kit cost, though the feature list may be different. One of the main reasons for purchase was the reverse power alarm… which does work and has reinforced the value of such a feature. 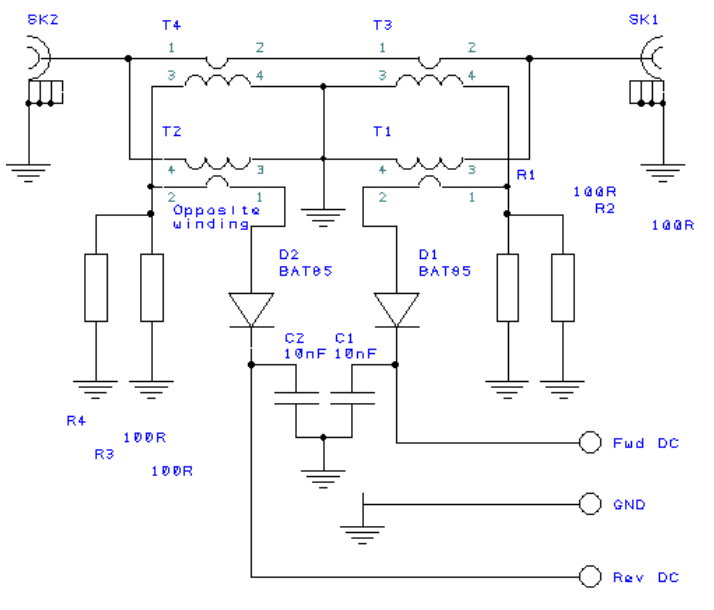 I will proceed to develop a small module which can be integrated into an ATU (with VSWR meter) or stand alone VSWR meter to perform this valuable monitoring function.